As a manager, you may be bored about the piles of papers you have to review and approve. As a clerk, you may get bored about waiting your leader to approve your application forms. 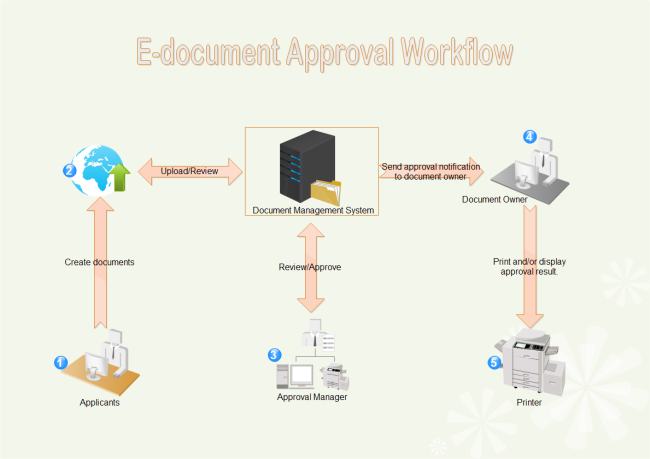 Why not apply a secure e-document approval and workflow system to get out these troubles and simplify document approval process? See how it works below. As you can learn from the workflow diagram, the internet-based system eliminates the necessity of face-to-face meeting, enabling document upload and approval anytime and anywhere. Besides location obstacle, it also removes the obstacle of piling up of files. Typically there is a document owner who creates and uploads a document and identifies who needs to approve the document and in which order. The document management system then conducts the workflow notifying each user that they need to approve the document and tracking the document through to completion. To diagram this process vividly, use an automatic diagram software. 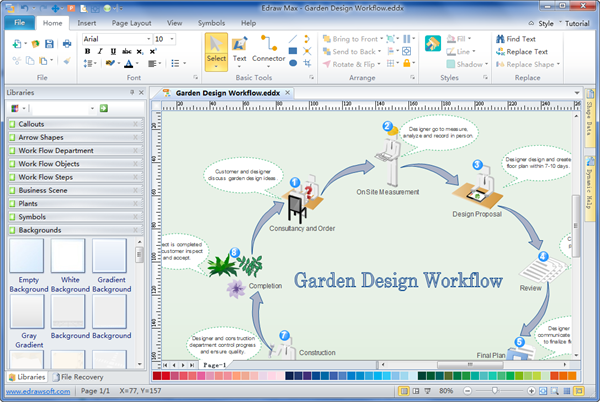 Our workflow diagram maker is seamlessly compatible with PowerPoint program. 1 click exports the file into PowerPoint format. Check out some PowerPoint workflow diagrams by clicking here.